What Should I Do If I Have a Dental Emergency in Marietta, GA? Dental emergencies can turn a fun sporting event or party into a real disaster. Well, that’s if no one knows how to handle it. Dental emergencies can happen out of nowhere, and the key is to know what to do next as well as how to prevent it in the first place. 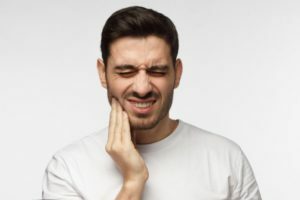 Keep reading to discover the best ways to handle a dental emergency in Marietta and what you can do to prevent a dental disaster from occurring. Is a Dental Emergency Urgent? If you experience any of the above emergencies, it’s important to contact your dentist right away. You can apply a cold compress to the affected area to keep down swelling and numb pain. You can also take over-the-counter medicine to manage any discomfort until you can see an emergency dentist. If their office is closed or unavailable, head to the ER to get the help that you need. How Should I Handle an Emergency at Home? If your tooth is knocked out or fractured, pick your tooth up by the crown to avoid damaging its roots. You should then try to keep it moist until you can see your dentist. You can even try to hold it in its socket. But, if you can hold your tooth in place, put it in a glass of water or milk. The quicker you see your dentist, the higher chance that your tooth can be successfully replanted. How Can I Prevent Dental Emergency from Happening? Schedule routine dental visits. These are your best way of preventing and detecting serious issues while they are still small. Brush and floss each day. A good oral health routine is an important part of a strong and healthy smile. Don’t use your teeth as tools. In order to avoid cracks and chips, only use your teeth for talking and chewing. Avoid chewing hard candy. Hard food like candy and ice cubes can cause pain for your teeth. That’s why it’s best to avoid them altogether. Now that you know how to handle various dental emergencies, use these tips to keep your mouth looking and feeling great. Dr. John Hamel has decades of experience in dentistry, which he brings to every case he treats. He believes in patient education, which is why he wants you to know the best ways of handling a dental emergency. He currently practices at Biologic Dentistry, and he can be contacted through his website or by phone at (770) 426-9994 for any questions. Comments Off on What Should I Do If I Have a Dental Emergency in Marietta, GA?